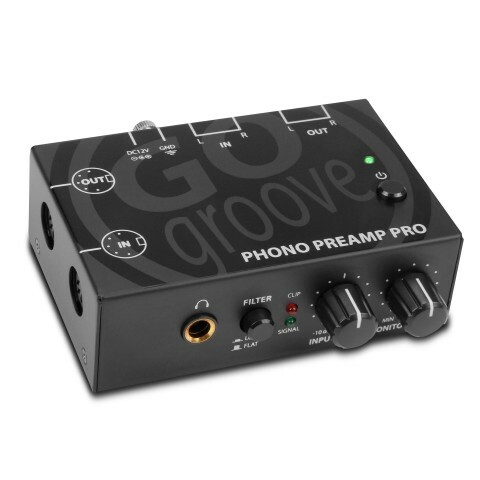 The GOgroove Phono Preamp Pro boosts your turntable's phono audio level up to a more speaker/stereo receiver-friendly line level , giving you better volume and increased sound quality. If you're planning on hooking up your turntable to a computer , stereo receiver , bookshelf speakers , or any other modern audio equipment , you're going to want thew new pro preamp to get the high sound quality that you expect from vinyl. The new pro preamp is equipped with both RCA and DIN outputs that you can connect to amplifiers, mixing units, and recording units. 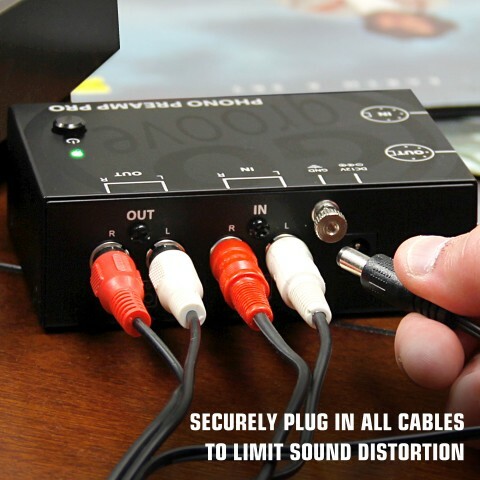 The RCA plugs provide a better balanced sound with less distortion and the DIN outputs give you the ability to stream even the oldest of your vinyl records. 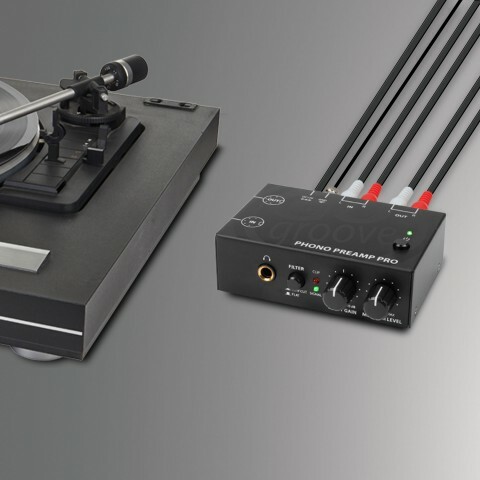 The DIN outputs give you the freedom to connect to your old school record player without losing the sound quality. Complete with an industry leading RIAA certification which recognizes that the phono preamp creates smooth equalization for balanced, clear audio. This certification also gives the pro preamp less emphasis on low frequencies and more on high frequencies. 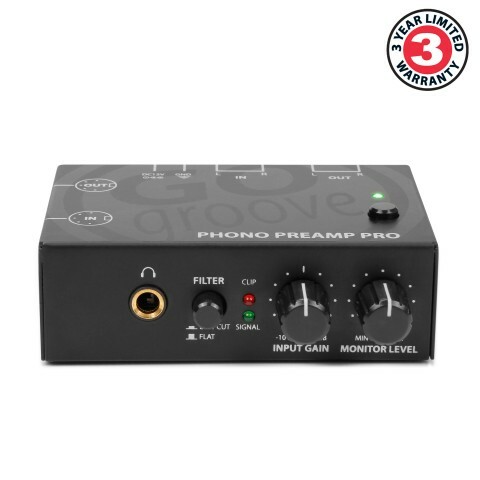 The front of the preamp has a built-in in 1/4 headphone port with a monitor knob that controls the volume of your music so you can listen in peace. A clip indicator blinks letting you know what parts of your music are the loudest and the input gain lets you control the sound so there is no distortion. Included is a filter button that rolls off the low end and eliminates "turntable rumble" that frequently occurs with other low-end preamps. Not sure if it's on or off, no problem! Our new enhanced preamp comes quipped with a power button that lights up when it's on. Now you can shut off the unit without having to unplug it!